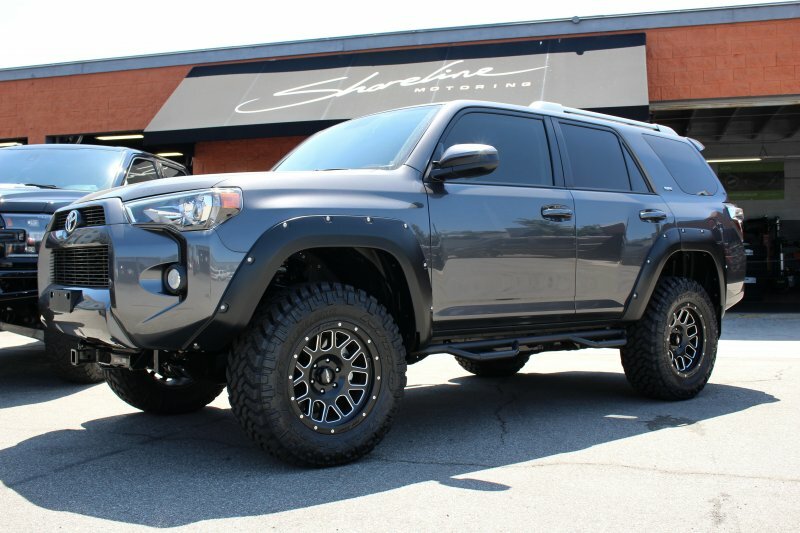 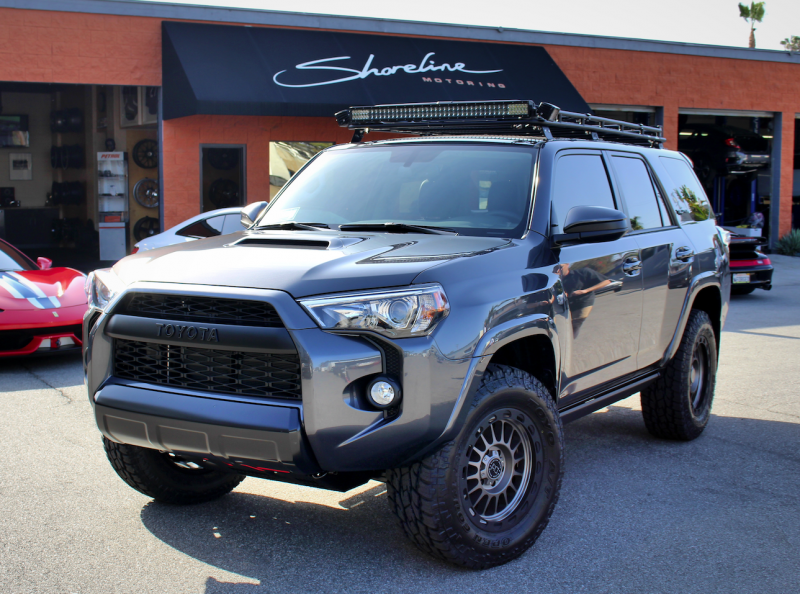 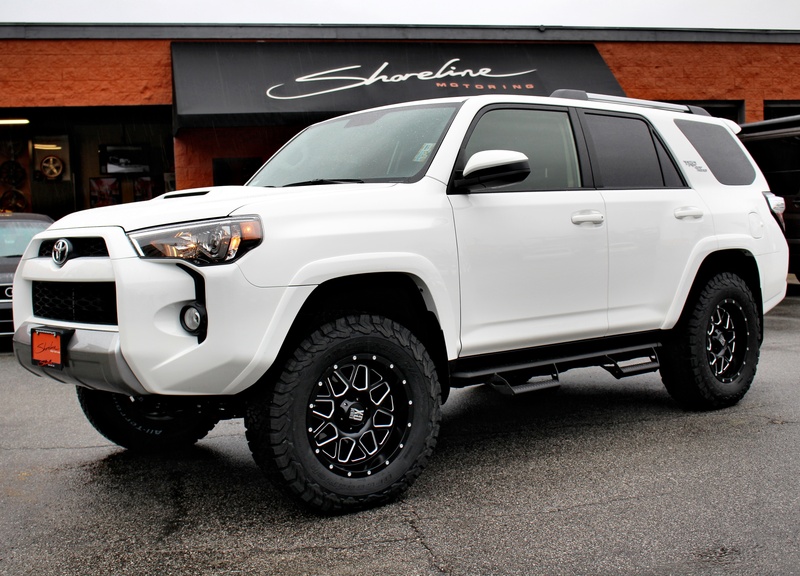 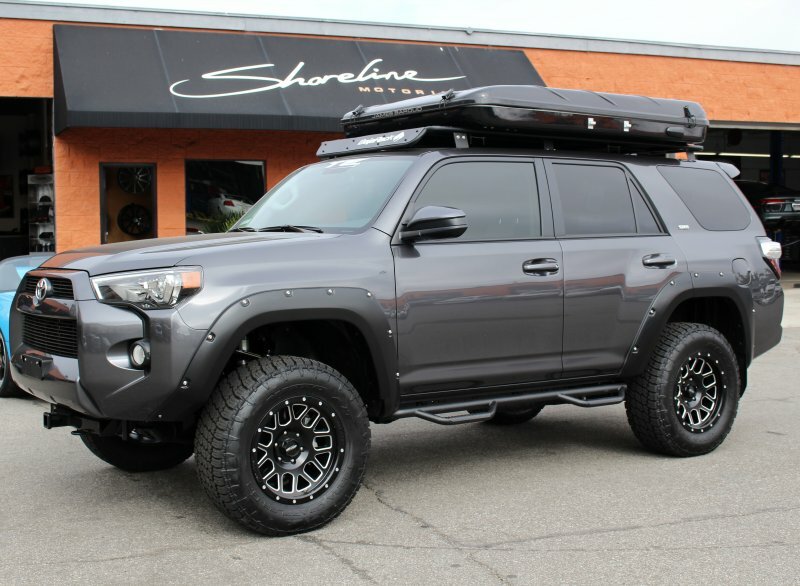 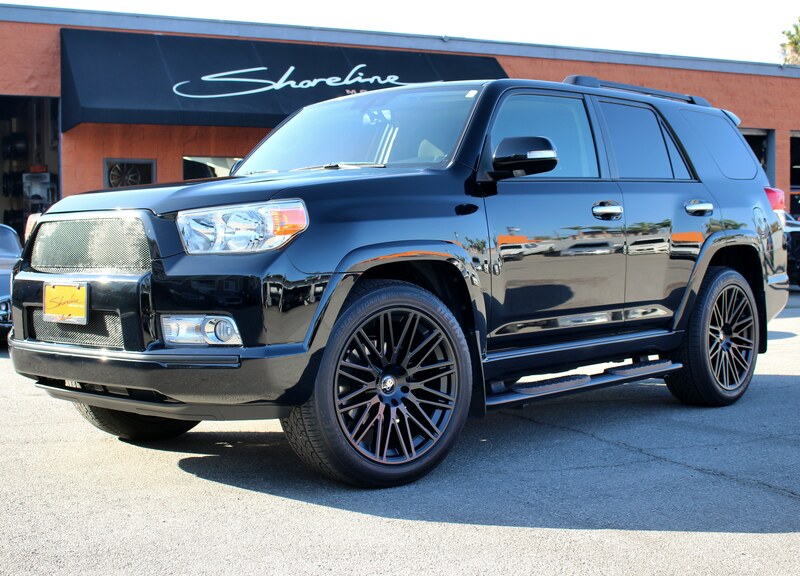 2016 4Runner in for 18" Black Rhino "Taupo" wheels, Toyo A/TII tires, Rigid Industries LED lighting, Gobi roof rack, Magnaflow exhaust system, AMP Research side steps, PedalBox performance upgrade and some custom paint work. 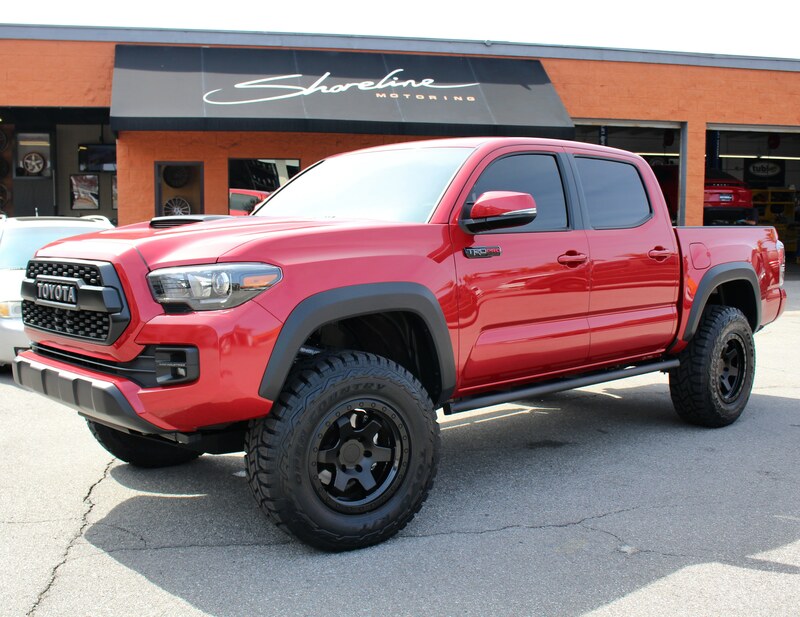 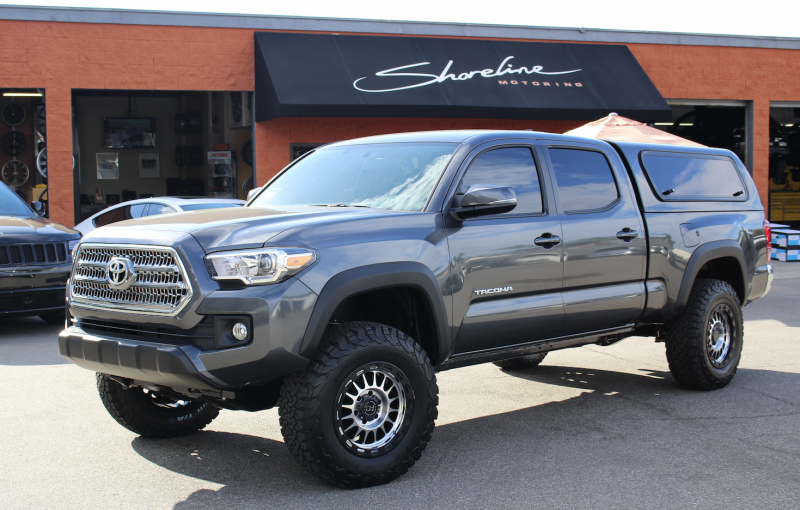 2016 Toyota Tacoma in for 17" Black Rhino "Taupo" wheels with a machined finish, BFgoodrich KO2 tires, leveling kit and a PedalBox performance upgrade to top it off. 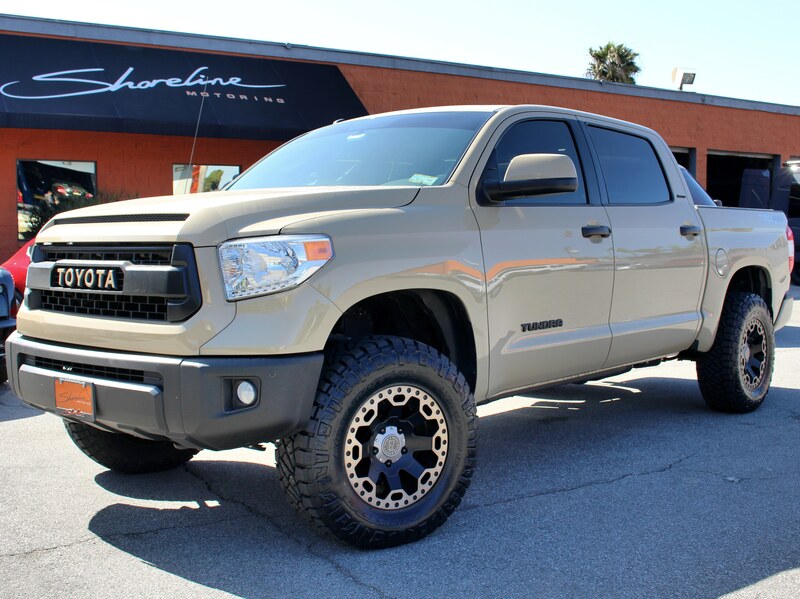 Tundra in for a 3" lift, 20" Fuel Offroad Wheels wrapped in Toyo MT Tires and a PedalBox performance upgrade. 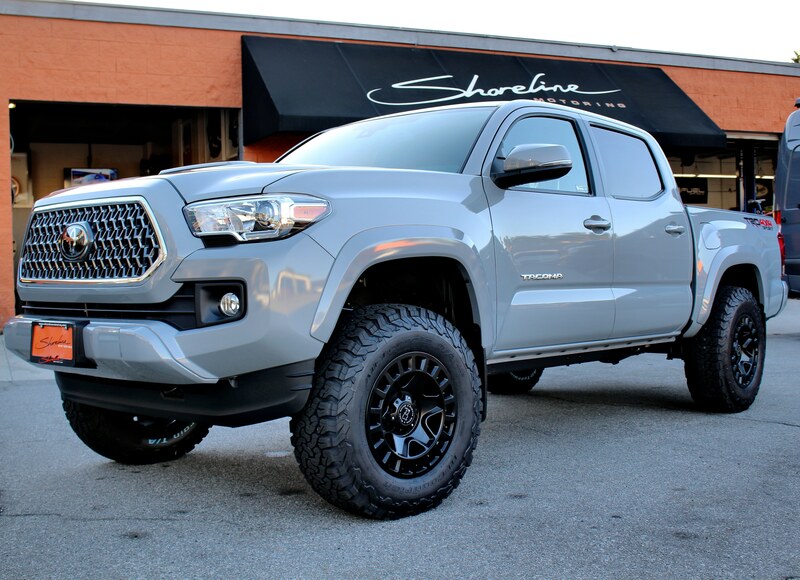 2016 Tacoma with front suspension leveling kit and 17" Black Rhino Wheels and a PedalBox performance upgrade. 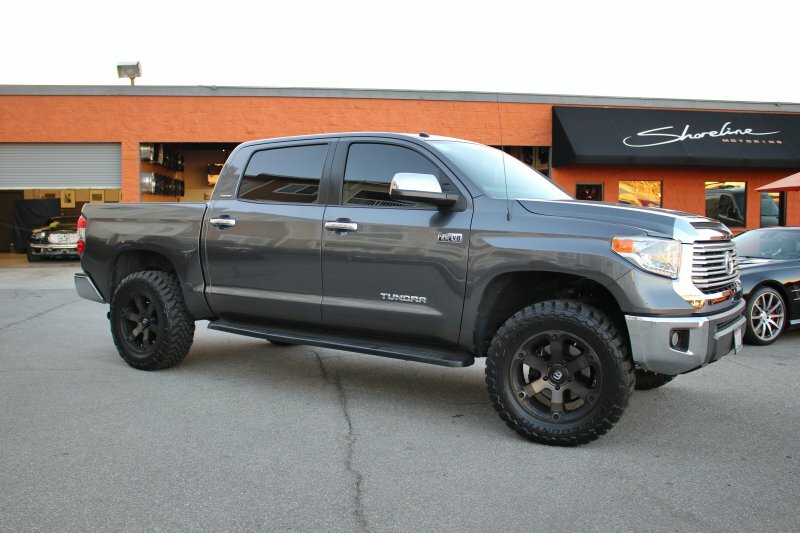 Tacoma in for 17" Black Rhino wheels, Toyo A/TII tires, leveling kit, and a PedalBox performance upgrade. 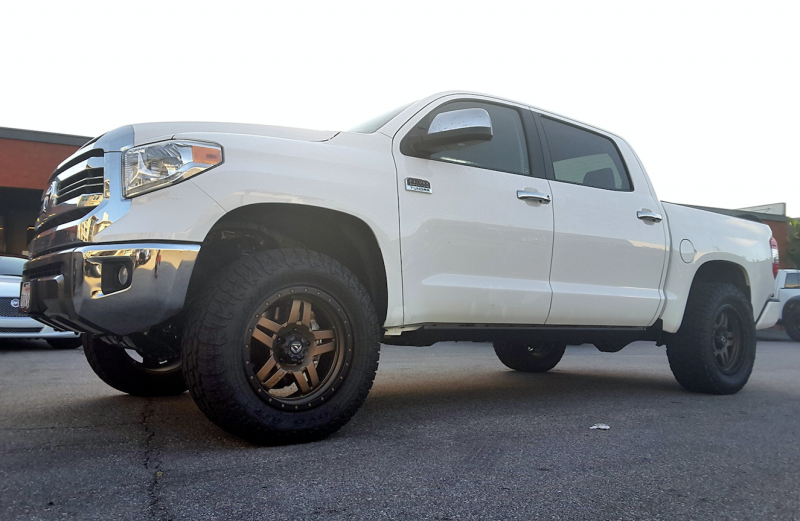 2016 Tacoma in for 17" Method Race wheels and BFgoodrich KO2 tires. 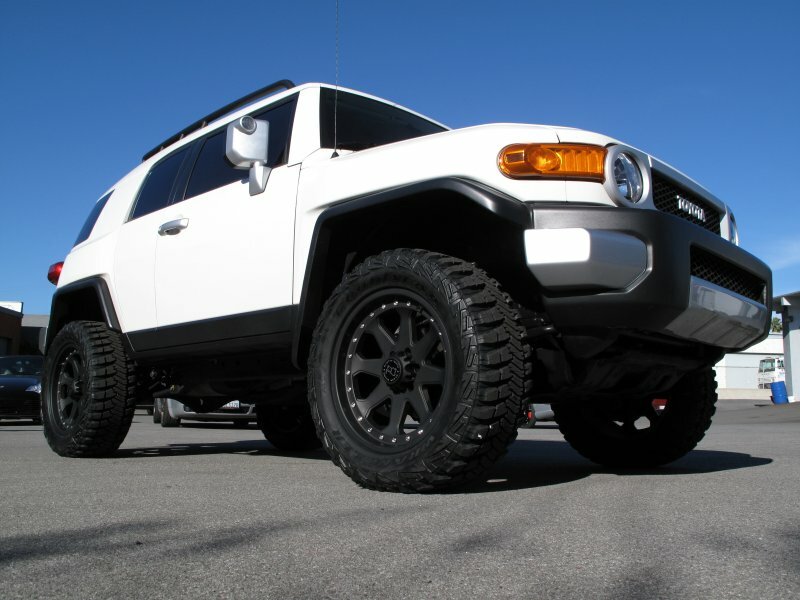 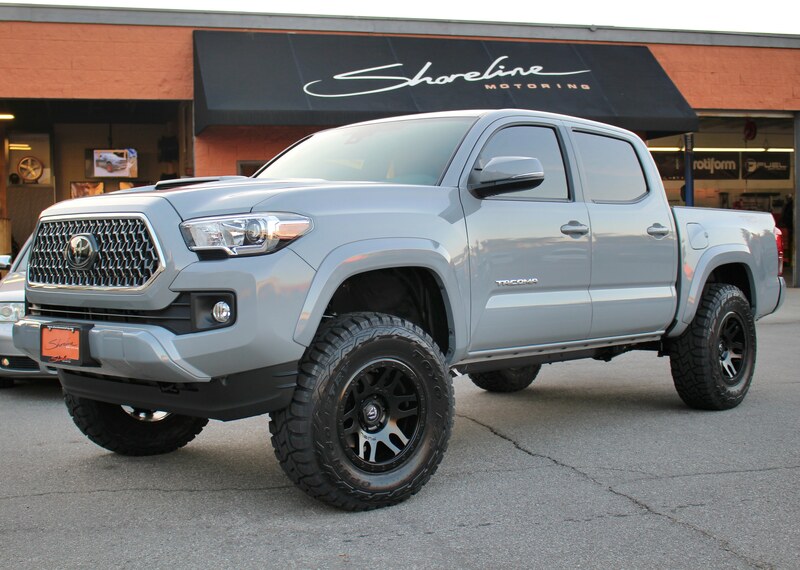 Tacoma in for a 6" lift, 20" Fuel wheels, Toyo M/T tires and a PedalBox performance upgrade from DTE Systems. 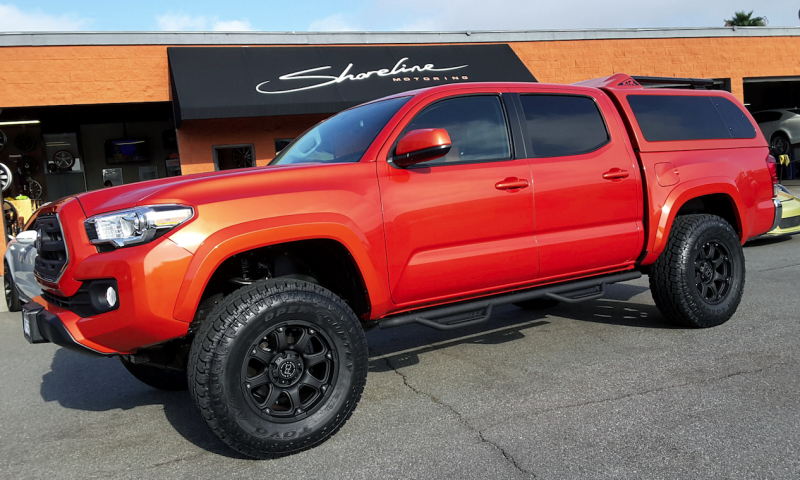 Tacoma in for a 4" lift, 17" Black Rhino wheels, Toyo A/T tires and a PedalBox. 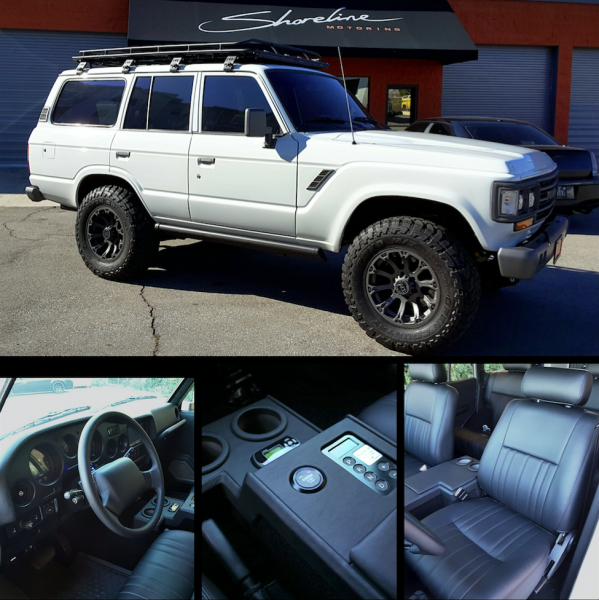 1988 FJ62 in for a complete makeover. 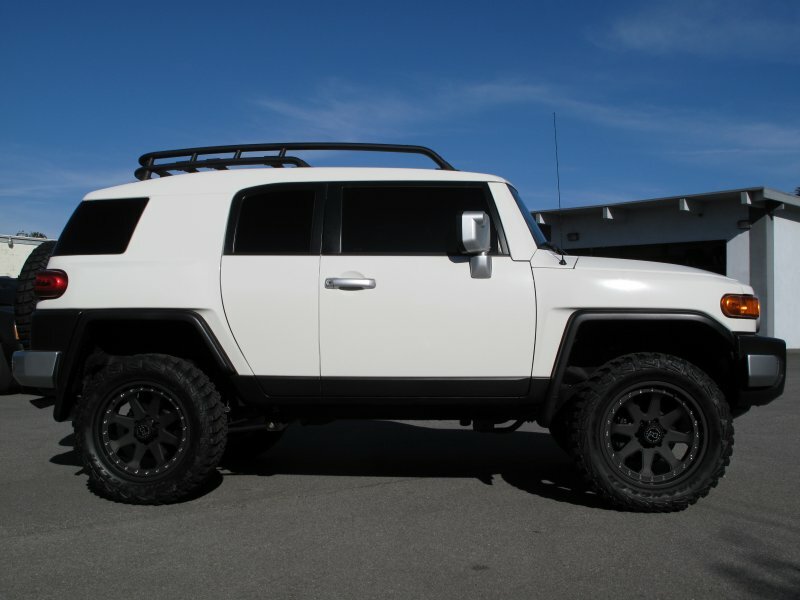 This build includes LS engine, upgraded transmission, push button gear select, upgraded suspension, Vintage Air A/C system, upgraded fuel system, front and rear disc brake conversion, complete color change paint job, reupholstered interior, custom audio in including a front and rear camera system, integrated TPMS, updated bumpers with integrated lighting from Rigid Industries, LED headlights, 3M Crystalline ceramic tint, electric drop down steps, custom roof rack with integrated solar panels, pop up tent, roll out awning, 18" Black Rhino wheels wrapped in Toyo M/T tires to finish it off. 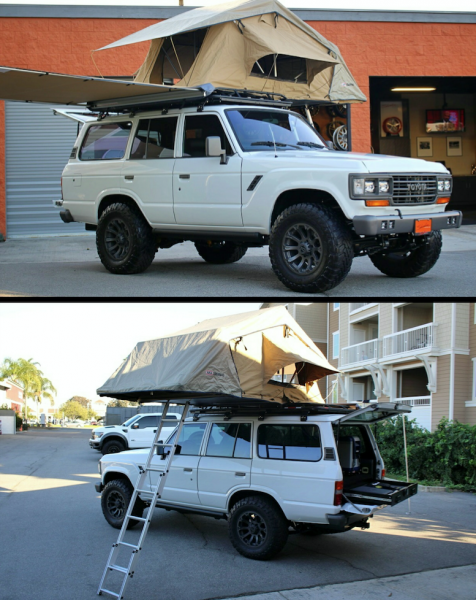 1988 FJ62 build showing off the full size pop up tent along with the roll out awning to make your camping experience that much more comfortable. 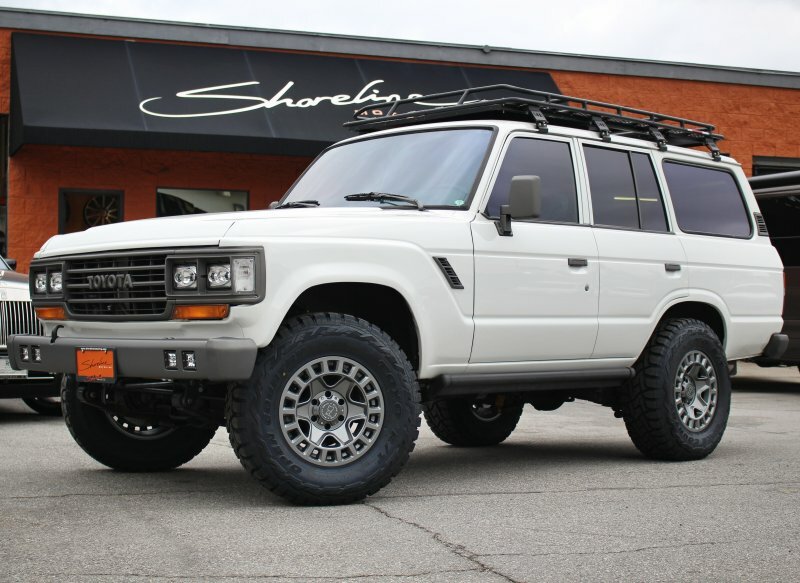 1988 FJ62 in for a complete makeover. 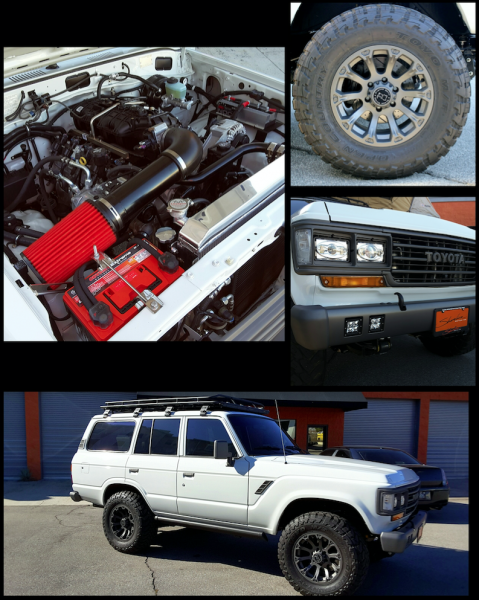 This build includes LS engine, upgraded transmission, push button gear select, upgraded suspension, Vintage Air A/C system, upgraded fuel system, front and rear disc brake conversion, complete color change paint job, reupholstered interior, custom audio in including a front and rear camera system, integrated TPMS, updated bumpers with integrated lighting from Rigid Industries, LED headlights, 3M Crystalline ceramic tint, electric drop down steps, custom roof rack with integrated solar panels, pop up tent, roll out awning, 18" Black Rhino wheels wrapped in Toyo M/T tires and a few other custom touches to go along with it while out exploring. 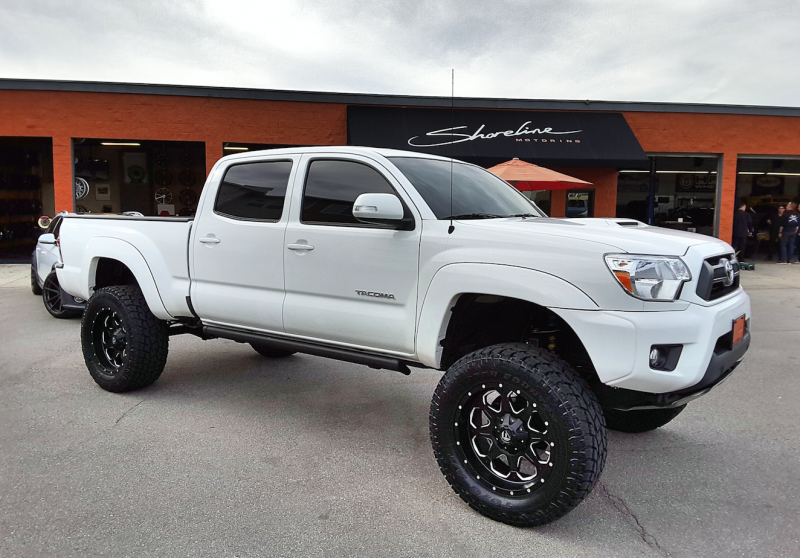 2016 Tacoma in for an Icon suspension install as well as a PedalBox performance upgrade. 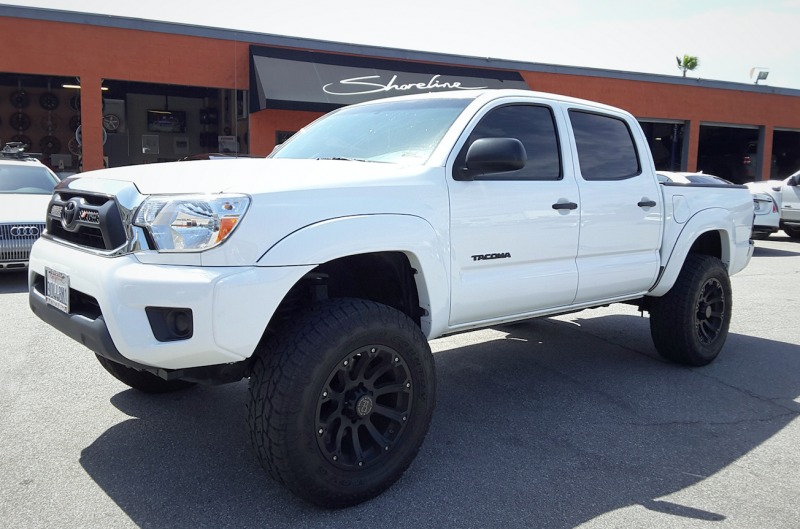 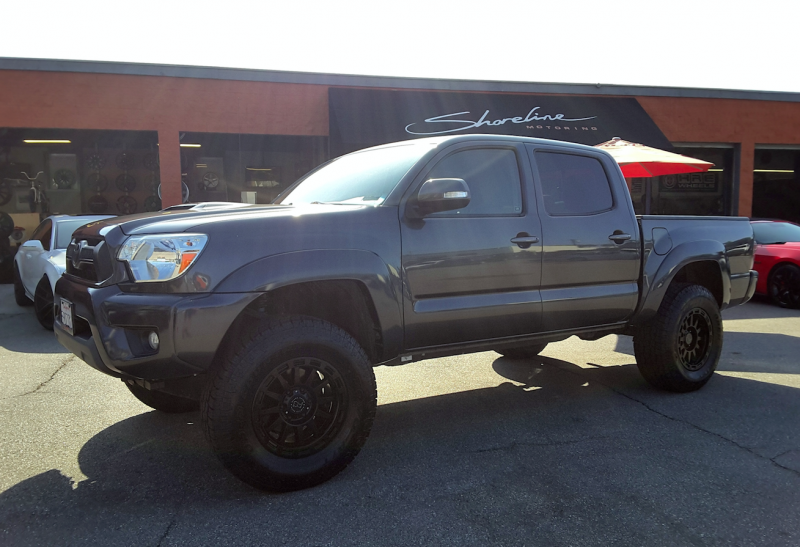 Toyota Tacoma in for Maxtrac suspension, Black Rhino "Sierra" wheels, Toyo A/TII tires and a PedalBox performance upgrade. 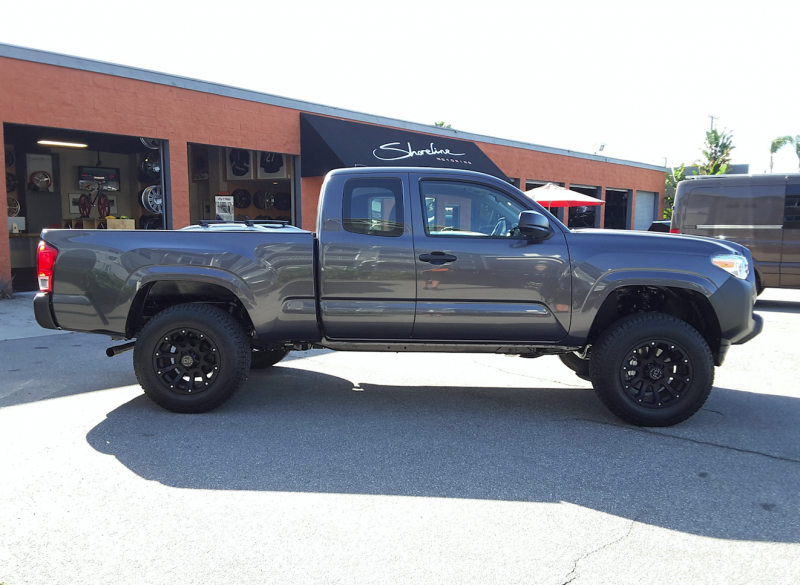 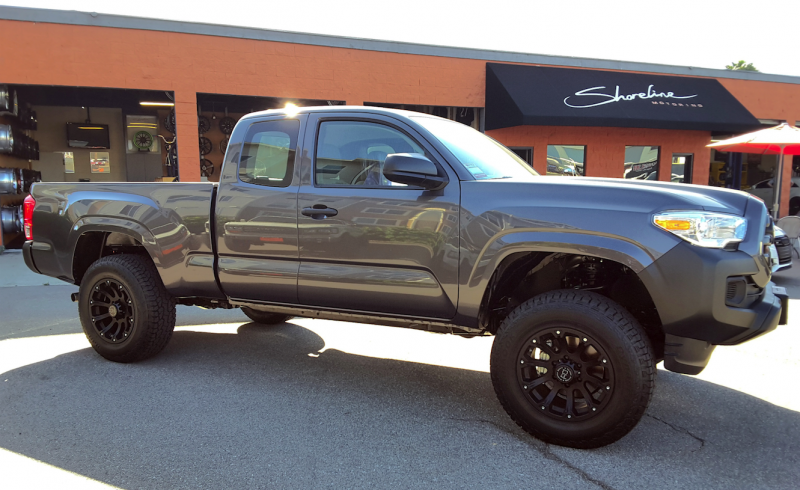 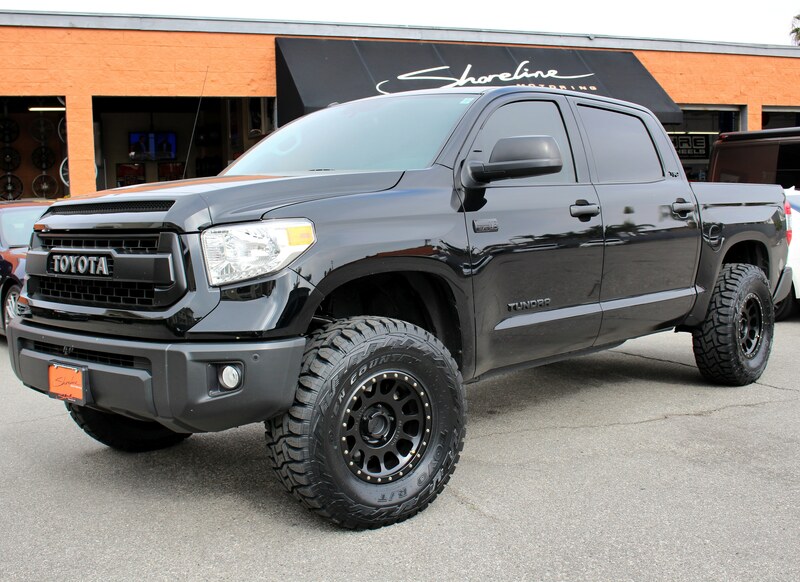 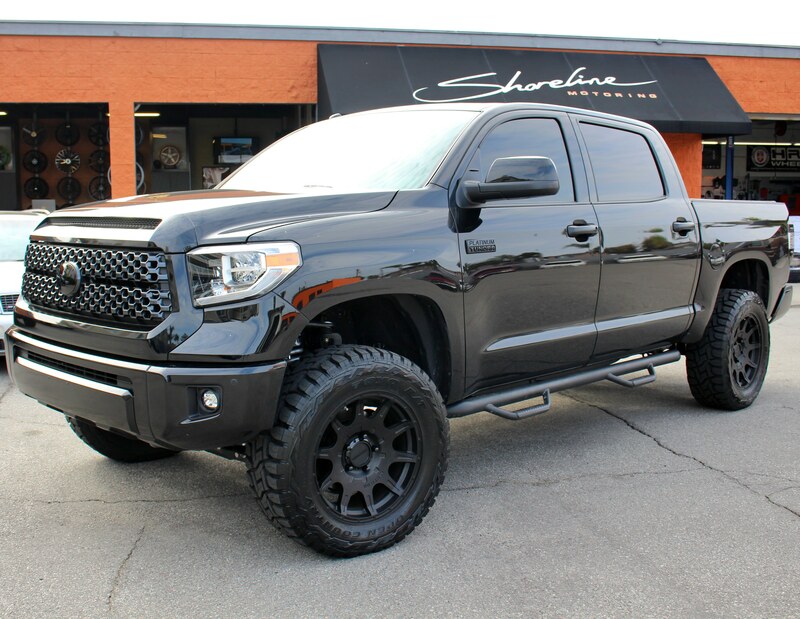 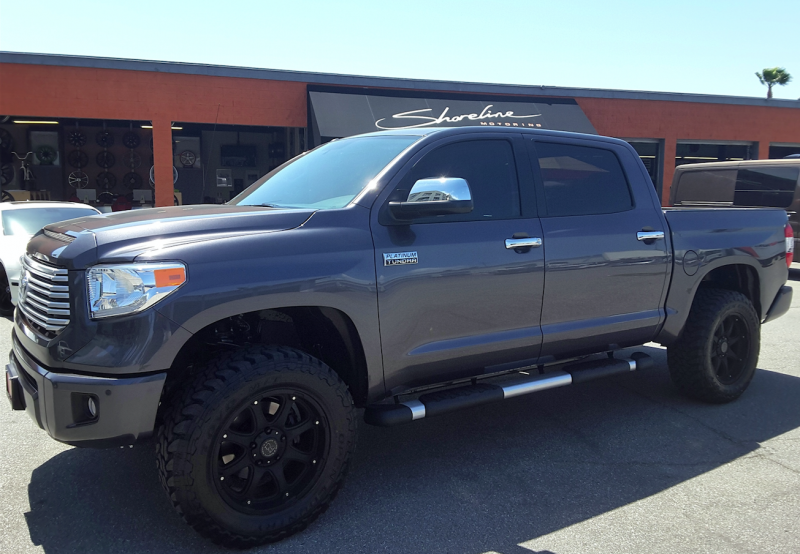 2015 Tundra in for a leveling kit, 20" Black Rhino wheels, Toyo M/T tires, and a PedalBox. 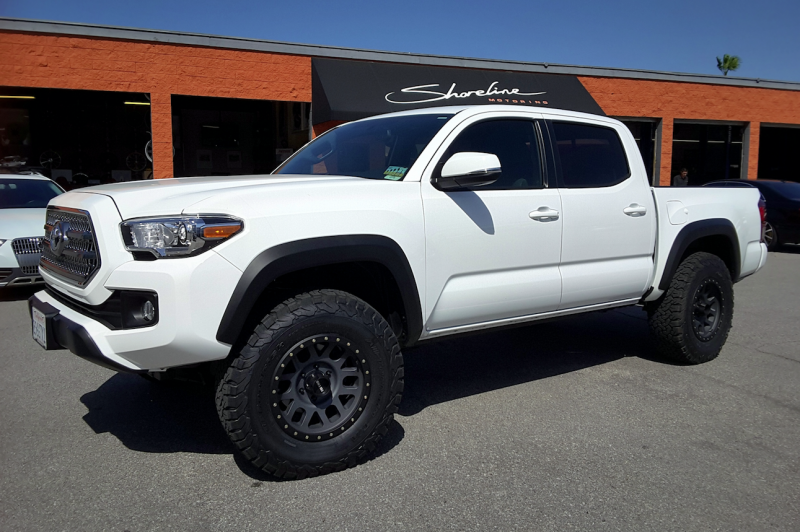 Tacoma in for a leveling kit, 20" Black Rhino "Sidewinder" wheels, Toyo A/TII tires and a PedalBox performance upgrade. 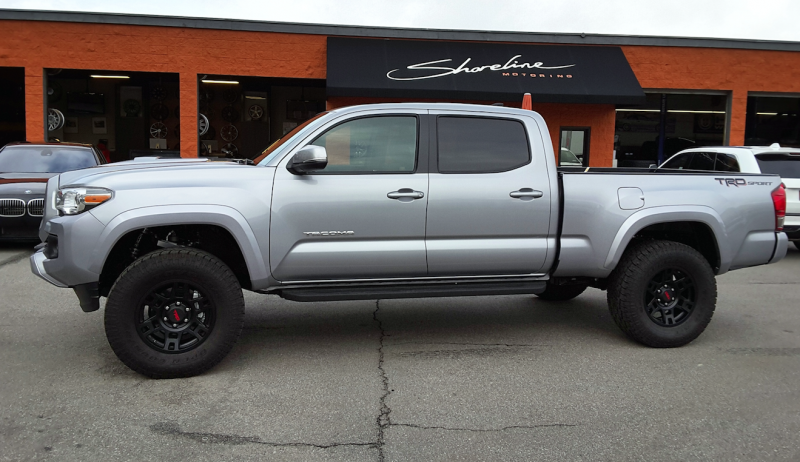 Tacoma in for a 3" lift, Black Rhino Wheels with Toyo Tires and a PedalBox performance upgrade. 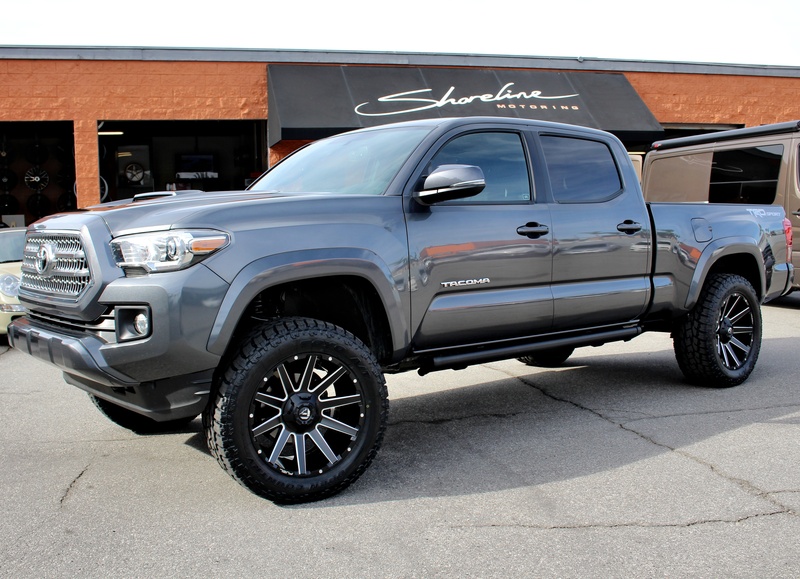 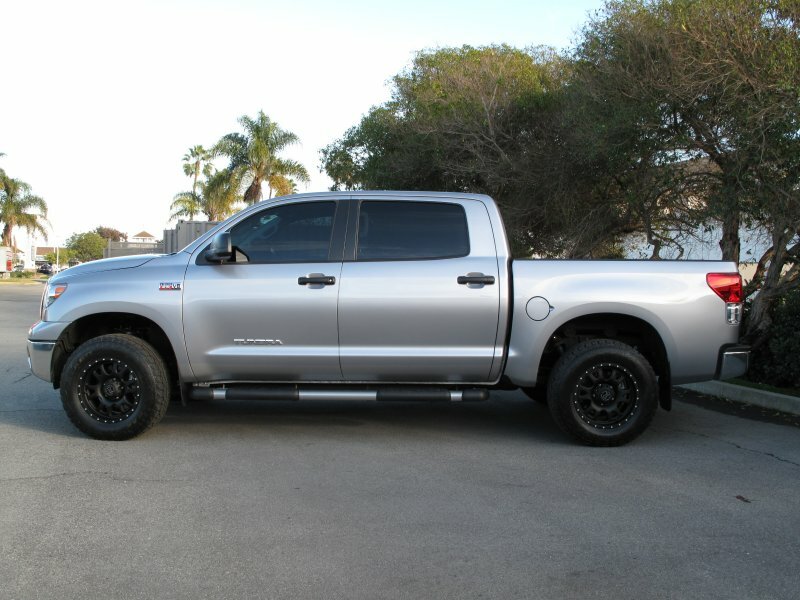 2013 Toyota Tundra Crew Max with 33" Falken Wild Peak AT tires, 18" Black Rhino Lucerne wheels and front leveling kit. 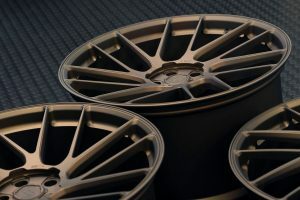 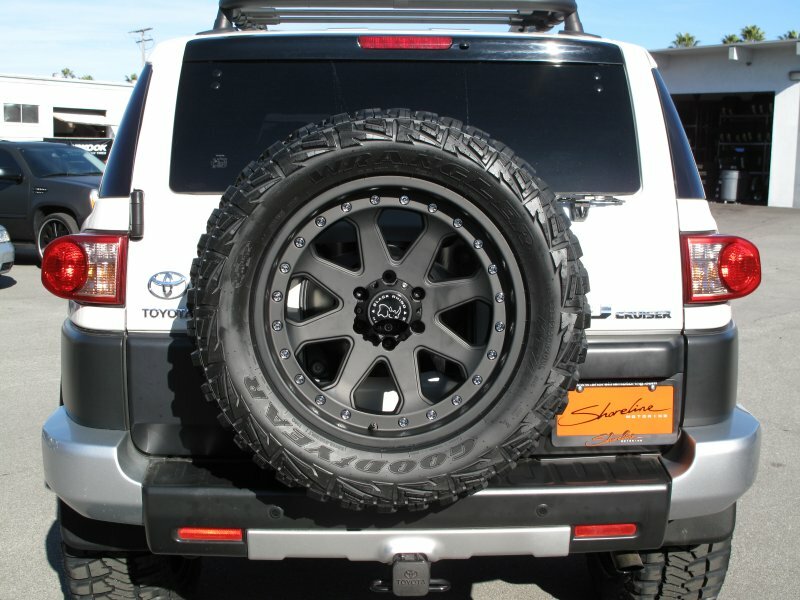 18" Black Rhino Lucerne in matte black wrapped with Falken Wild Peak AT tires. 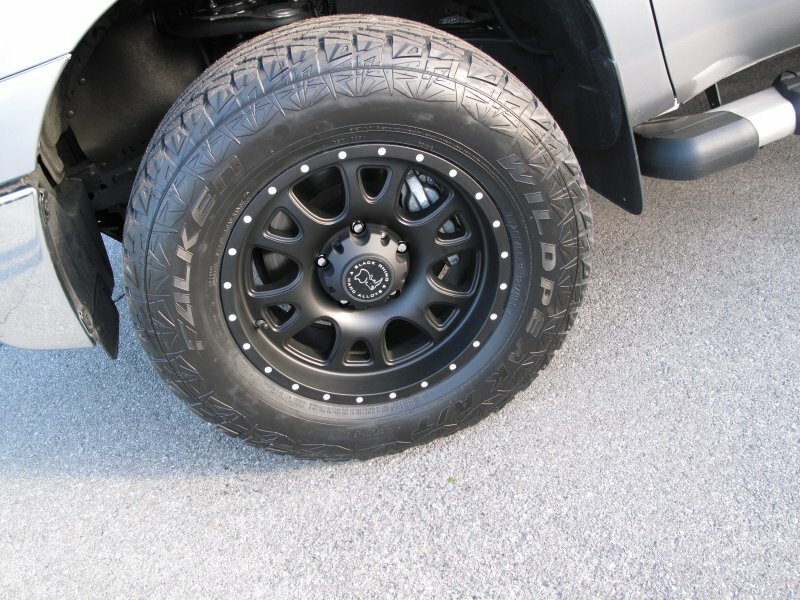 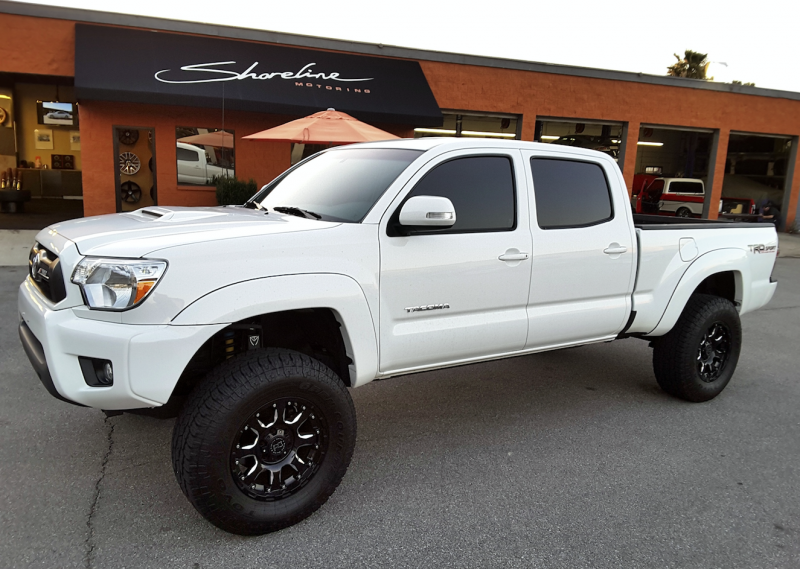 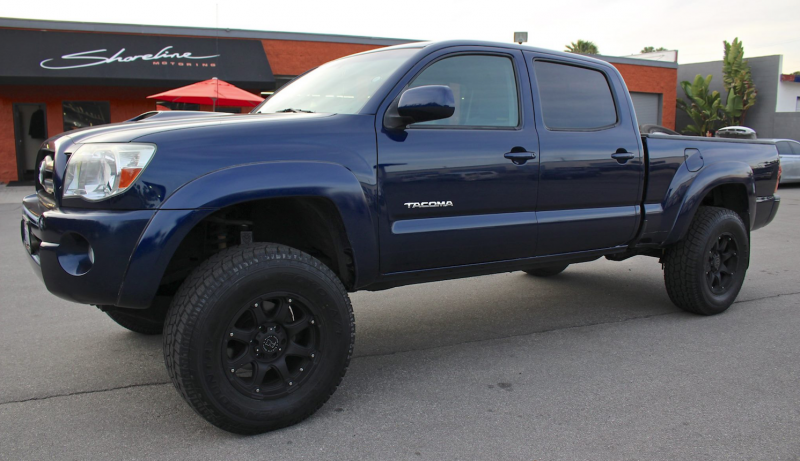 Toyota Tacoma with lift, polished wheels, textured fenders, stand-alone TPMS system. 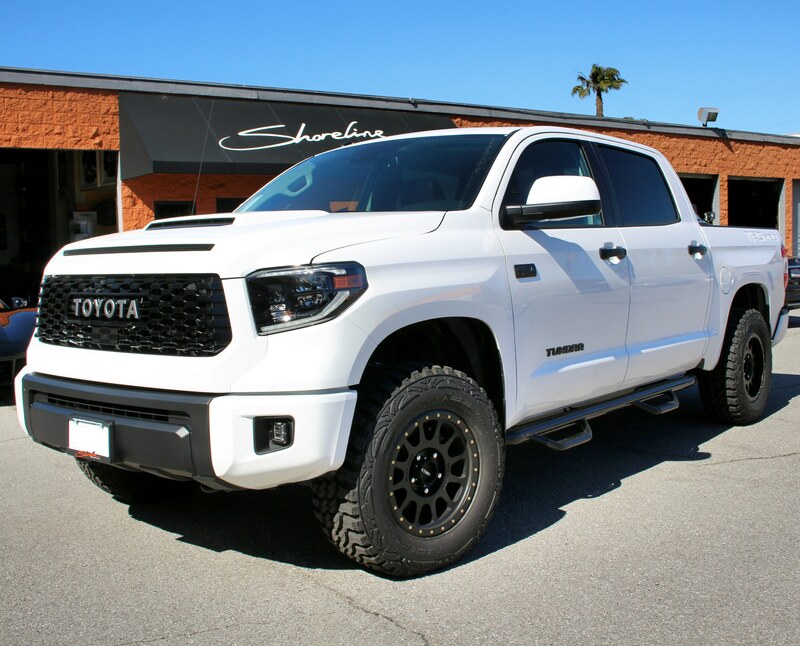 New Tundra Crew Max 4x4 Limited with... everything. 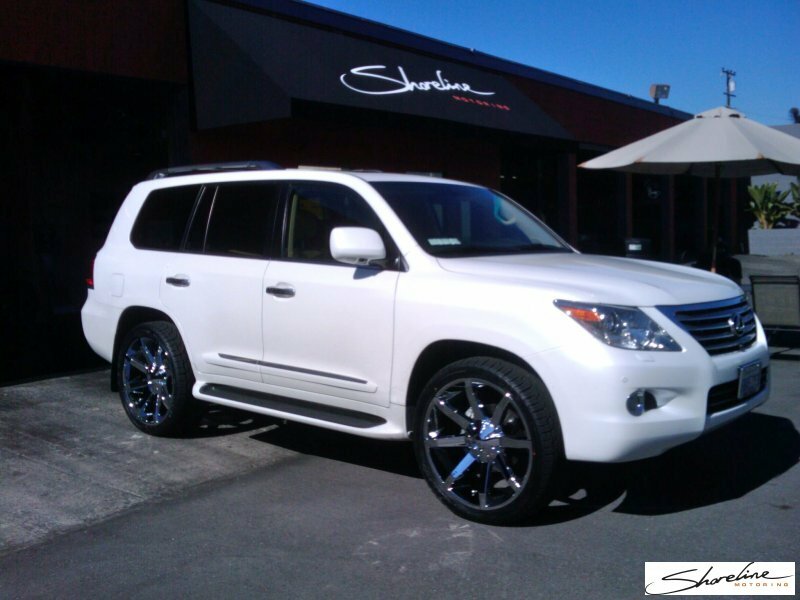 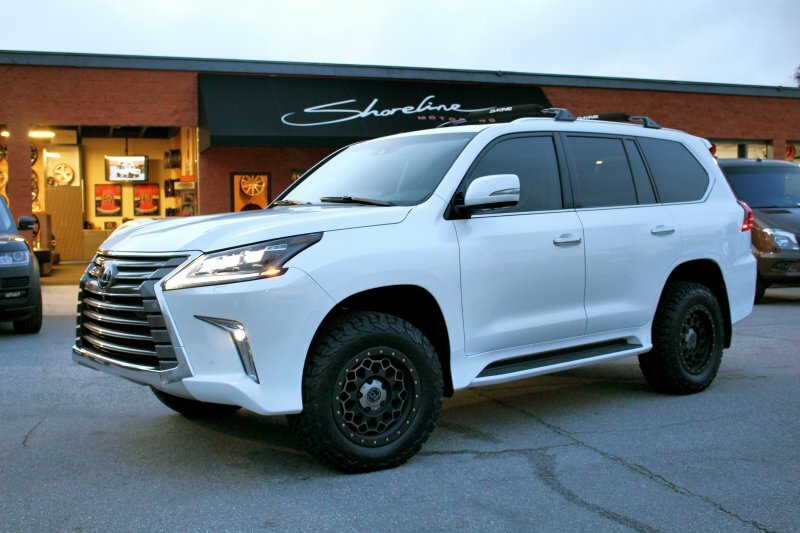 KMC Slide 24" on Lexus LX 570.